Questions? For the quickest response, contact us below! 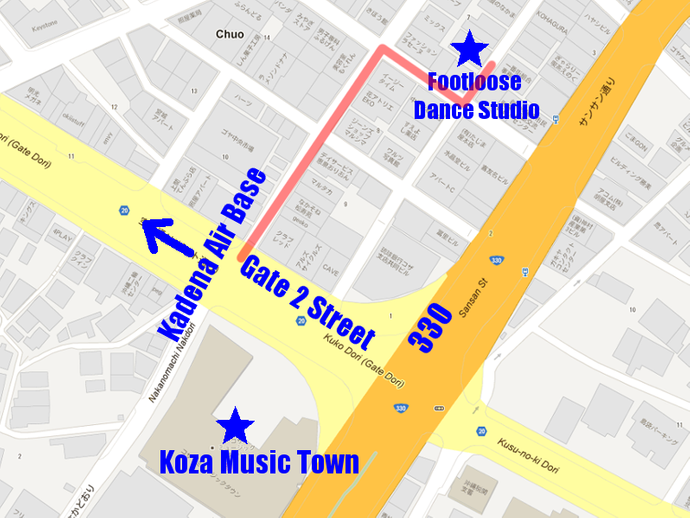 FootLoose Dance Studio is located inside the Sun City Mall (directly across the street from Koza Music Town). Park anywhere in the Gate 2 street area (all parking in pay parking in this area, please bring yen coins). Enter the mall from the Gate 2 Street entrance (by foot). Take your second right and your first left.